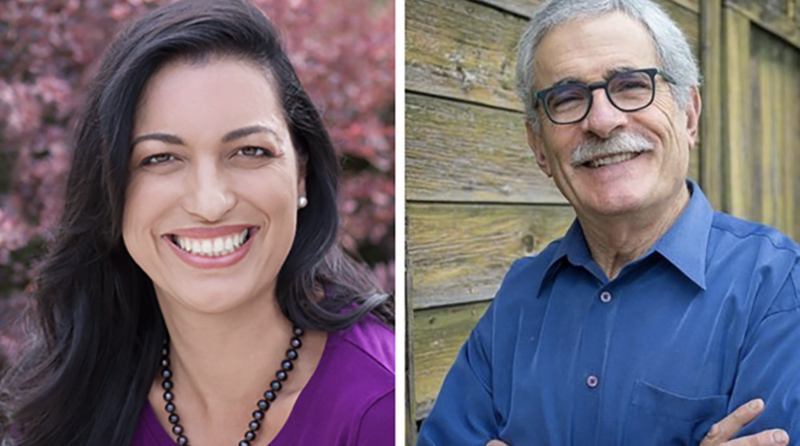 On Thursday, Oct. 11, Southern Oregon University will hold a town hall for Oregon State Senate District 3 race. Jeff Golden (Democrat) is debating Jessica Gomez (Republican) on key issues that impact residents of Oregon District 3 and the students at Southern Oregon University. Students have an opportunity to ask questions of the candidates by emailing townhall@jeffnet.org. SOU reserved 150 seats for students to attend for free, and students can reserve a ticket at the Stevenson Union info desk or the Music Recital Hall Box Office. The Democratic candidate, Jeff Golden, received his master’s degree in broadcast communication from Stanford in 1982, and has since had a 25-year career as a public radio and television producer; opinion columnist; and radio talk show host and commentator. The former Jackson County commissioner has also served as chief of staff to the 1993 Oregon Senate president, environmental policy adviser to the City of Portland, and member of numerous public and non-profit boards and commissions. Per Golden’s website, education is one of his key issues, and he supports passing education reform like the Oregon Education Investment Initiative (OEII), introduced in 2017. The plan would generate an estimated $2 billion in additional revenue for the 2017-2019 biennium by replacing the current corporate income tax with a corporate activities tax of 0.95% on all corporations doing more than $5 million in Oregon sales; of that, $250 million would be directed to higher education. Education is also a major issue for the Republican candidate Jessica Gomez. She plans to provide career and technical education options and prioritize introducing career paths and employee connections early. According to her website, she plans to focus on policies that help increase graduation rates. Her credentials include President/CEO of Rogue Valley Microdevices; Co-founder and Board Chair of “Sustainable Valley Technology Group;” Vice Chair of State Workforce Investment Board; Board Member of STEM Investment Council, Oregon Institute of Technology Board of Trustees, Development Commission (Business Oregon), Board Chair, Rogue Workforce Partnership, Jackson and Josephine County Workforce Investment Board, Medford/Jackson County Chamber of Commerce, and Oregon Business Council; Committee Member of the City of Medford Housing Advisory; and Governor Kitzhaber 10 Year Plan for Oregon: Jobs and Economy Team.